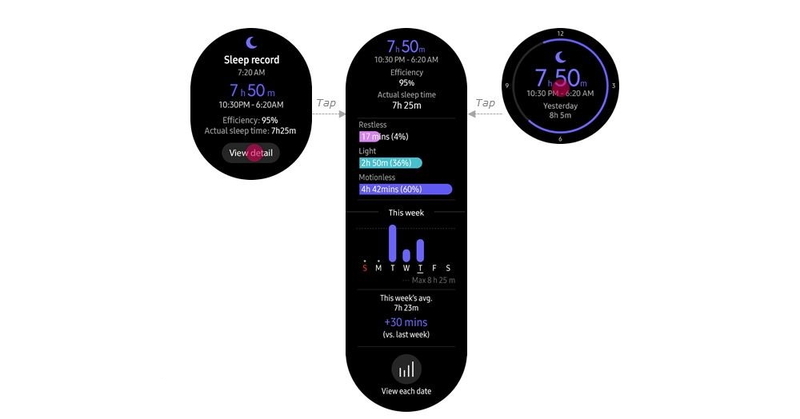 Samsung Health on the Gear S3 and Gear Sport has been transformed, helping users to be smarter about their wellness. Users are able to save draft messages written on their device and return to them later to finish and send. Support for Multimedia Message (MMS) has also been enhanced, with MMS images displayed in notifications. The update also supports automatic playback for animated images in a message or conversation. To help users craft responses, previous messages in the conversation are shown to provide context and reply options are displayed directly below, streamlining the process with no need to tap again to reply. With up to 1500+ emojis, across nine categories, users can make their messages all the more personal. The device will also display the nine most recently-used emojis, so that users can respond to messages using their favorite emojis within moments. Alongside established partnerships with fitness and lifestyle applications, such as Under Armour and Smart Caddie, new partnerships are coming to the Gear S3 and Gear Sport. After partnering with Strava, the social fitness network for athletes, the devices now provide a standalone experience, tracking a range of outdoor and indoor activities on the wearable and syncing directly with the Strava app. Support for the TIDAL app* is also offered, allowing users to access their favorite tracks and playlists, as well as explore new music, directly from their device. With the C25K – Couch to 5K app, users can also improve their stamina and track their progress using a proven program. This program was designed for inexperienced runners who are just beginning to include exercise in their routine – so you can train to run 5K in just 8 weeks. (From left) Strava, TIDAL and C25K apps are available for the Gear S3 and Gear Sport with the new update. The Gear S3 Value Pack update is now available for download via the Samsung Galaxy Wearable app . *Availability of TIDAL service may vary by region.